Aurelio Martinez one of the world's leading Garifuna artists has just announced his 2011 UK tour schedule (see below). Aurelio, from Honduras, on the Atlantic coast of Central America, is recognised for his powerfully evocative vocals and his talent as a composer, guitarist and percussionist. 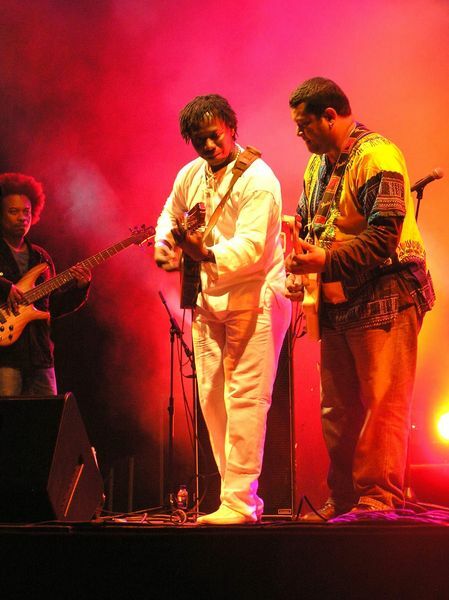 He is one of the most extraordinary and passionate artists of his generation, and a major tradition-bearer of the Garifuna culture that fuses African and Caribbean roots. "Laru Beya", Aurelio's latest album (out now on Real World), is a testament to the struggles of the past and hopes for the future of the Garifuna, a community which originated from African slaves ship-wrecked on the Caribbean island of St. Vincent. 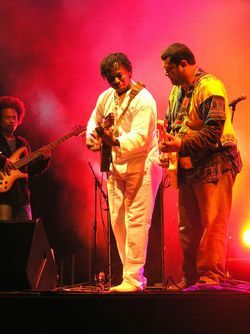 The album was recorded in Honduras, Belize and Senegal, where Aurelio worked with Youssou N'Dour and Orchestra Baobab, who both guest on Laru Beya. Aurelio and his band performed at WOMAD earlier this year as well as the Barbican and now they return to tour the UK and to promote the new album.